Lets discuss about how to conduct an effective Twitter Analysis, so you guys can maintain an impressive profile. Before that lets know about Twitter and its features then lets get to a tool for analyzing your twitter profile. Twitter is an online news and social networking service on which users post and interact with messages known as “tweets”. 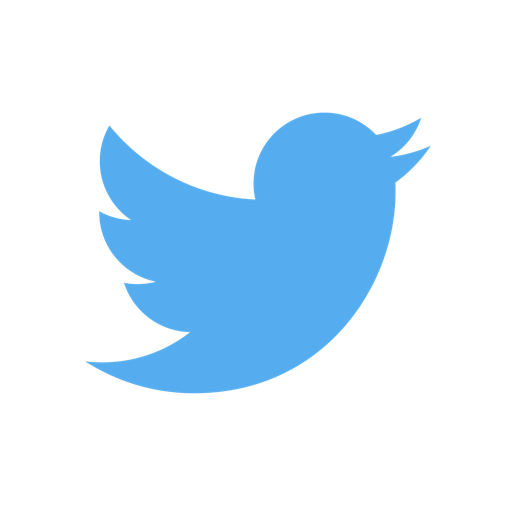 Twitter, Inc. is based in San Francisco, California, and has more than 25 offices around the world. Twitter is one of the powerful social media platform where like other social media each profiles has their own (authority) and it will be powerful as compared to other social media platform. Lets discuss about the features and tips for a twitter account. Like every other social media platform in twitter we interact with a message known as tweet, retweet, likes comments etc… Tweet is a Twitter message and it can contain up to 140 characters of text, as well as photos, videos, and other forms of media. They will be public by default and will show up in Twitter timelines. Retweet is A type of Tweet that is re-shared to the followers of another user’s Twitter account. There are two kinds of Retweets one is simply retweet and other is retweet with a comment. There are some common features in every social media they are comments, likes, direct messages, hashtags, mentions etc…. And Twitter have some of these features and additional features too. Lets discuss about the additional features that are very helpful or building a great twitter account. A List is a group of Twitter accounts. You can create your own Lists or subscribe to Lists created by others. In the top menu, click on your profile icon. Give a suitable name for your List, and short description for your List. List names cannot exceed 25 characters, and cannot begin with numbers. The default setting for your List is public. then click on to the save button. Twitter Moments are multiple tweets put together or shown as stories. twitter moments are made up for users to understand what the world is talking about. In the top menu, click your profile icon. click on Moments amt then click the plus icon. On the top menu, click on your profile icon. click on the moments and then click the plus icon. Then give title to title field for giving your Moment a name. Tap the Set description field to type in a description for your Moment. click the cover icon then tap the camera icon to add a cover image. you can add a tweet to moment by clicking on the top of the tweet and click the add to moment, this is how you add a moment. Trends on Twitter are topic that are driven from hashtag that gets popular immediately for a particular period of time. These are some of the current trends on 04-09-2018. Like every social medias we can promote our profile for business purposes and get u can advertise here. Mostly paid promotions are there and the cost varies according to how much visibility you should get. Twitter offers a feature of scheduling the tweet. we can schedule our tweet as our wish. There are many tools for twitter analysis but we show you the best. Lets discuss a tool for your twitter analysis and get to know about your followers and your profile. There are many tools to analyse our twitter account to make it better and let me introduce a tool that will help you to analyse your followers and those who follows by us, the tool is “Followerwonk “. Followerwonk is an analyzing tool to analyse your followers and people who we are following and a best tool for your twitter analysis. Then click on do it. Followerwonk gives you a detailed report on your followers and following into a psychographic segments including gender,location, activities and many more. they also gives details about our profile like our social authority, time on twitter etc..
Mapped locations of our followers. they show the approximate locations of the followers in mapped view and satellite view. Most active hours of our followers. They will give a chart showing the hourly twitter activity of your followers. Most active hours of the user. That is they will show our most active time in twitter in the form of a chart. Social authorities scores of our followers. Social authority is our rating of user’s influence and engagement on twitter, it ranges from 1 to 100. Here shows the gender wise category of our followers. Follower count of our followers. It shows the number of people who follow those users. That is it gives our follower’s follower count. Following count of our followers. It shows our followers following count that is how may following they have. That is it shows the recencies of our followers it says they are active. It shows the total number of tweets of our followers. Language of the user’s followers. Percentage of tweets url of our followers. How many URLs do these tweet as a percent of their total tweets. Retweets as a present of timelines of our followers. Same as above the retweet as a percentage of their total retweets. These are some of the features of the Followerwonk tool here we can also check anyone’s profile. Hope you find it useful.